It’s a long weekend this time… And it started a bit earlier for me! Too many activities I’ve planned out for these 3 days… Baking a cake, going out on a road-trip, playing with gattu, cooking yummy food, watching many movies/filmfare, a little shopping etc. etc. I felt in past few weeks that this year summer hasn’t been generous at all… All super-sunny days, direct sun-rays and temperature beyond the threshold…! 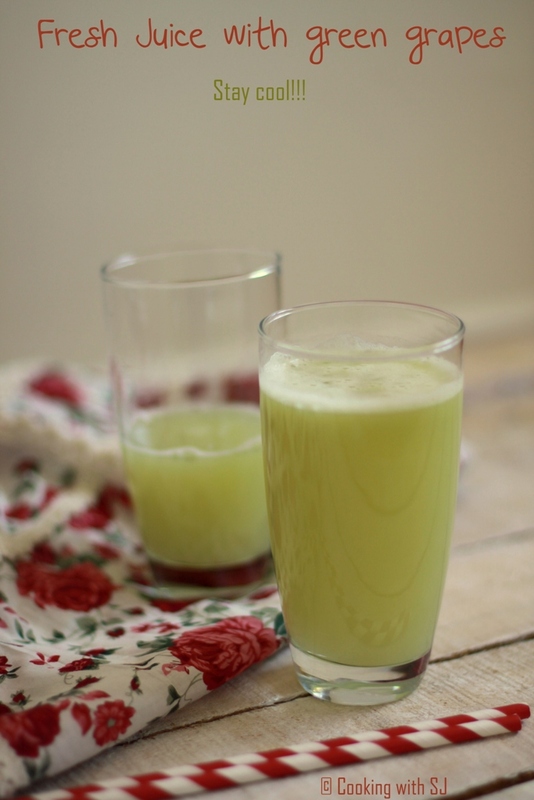 Take all ingredients in a mixture jar and grind them to make a smooth juice. Strain to make it pulp-free. simple yet very fresh . 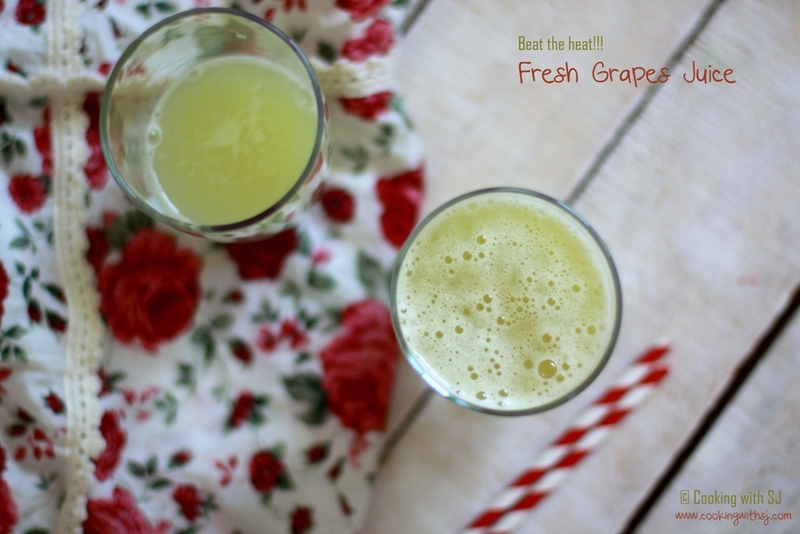 I actually had no idea that you could make grape juice like this…wow! You sound like you’ve had a delightful weekend! The juice looks great! So refreshing! And easy to make too.